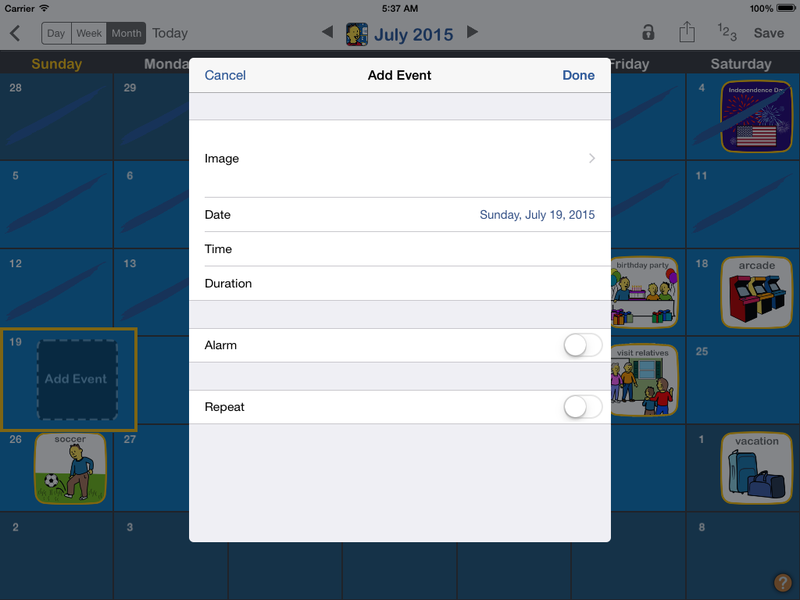 You can use your own images and record your own audio for events in your calendars. 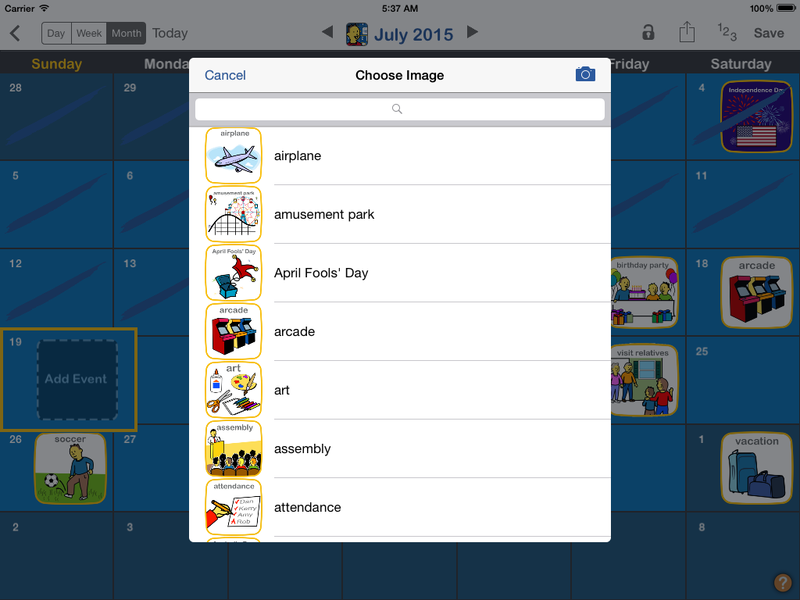 These custom images become part of the app's image library so that they are available for use next time you need them. The event editor is displayed whenever you are adding a new event or editing an existing event. 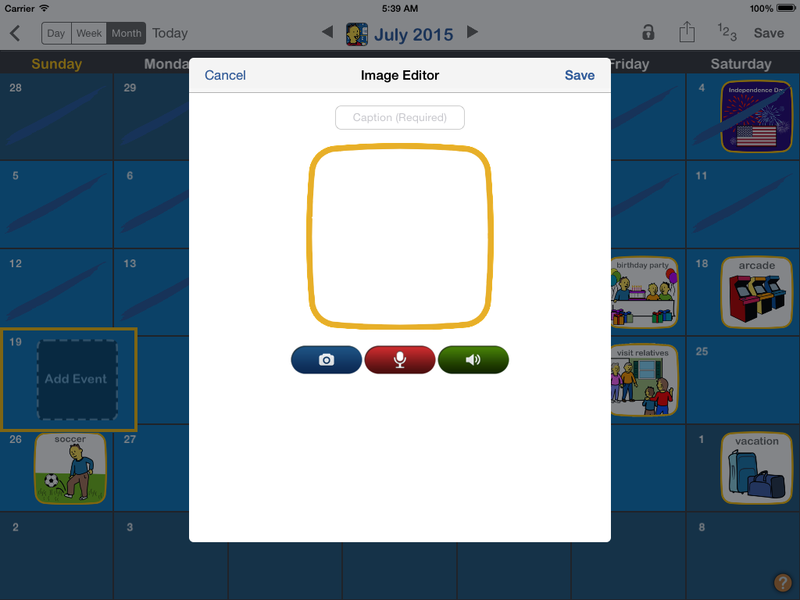 Tap on the image field to bring up the image chooser dialog. 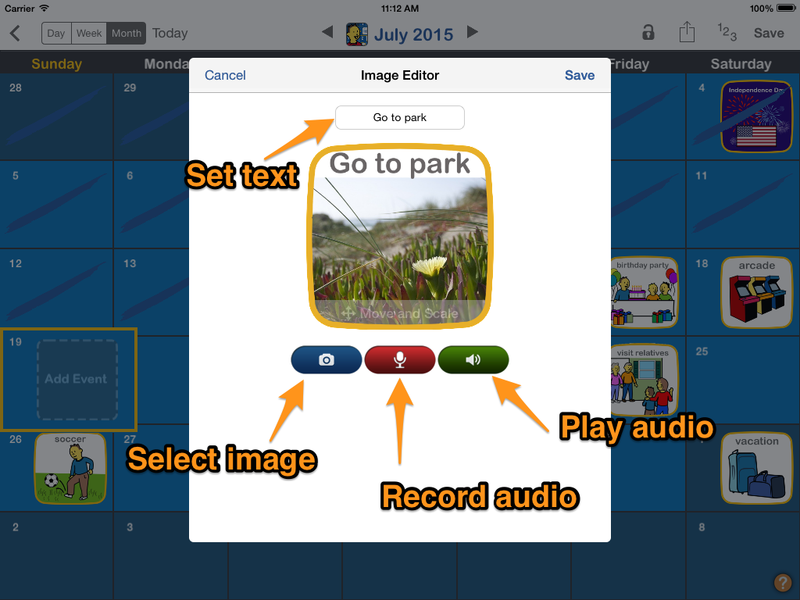 Tap on the camera icon in the top right to open the image editor. Set the image text by tapping on the text box on the top. Select an image by tapping on the camera button. You can taking a new photo a using your camera, choose an existing image from your photo library or use a stock Choicework image. Record a custom audio clip by tapping the red record button. Tap again when finished to stop the recording. The green play button will playback the audio so you can review it. Tap "Save" when finished.